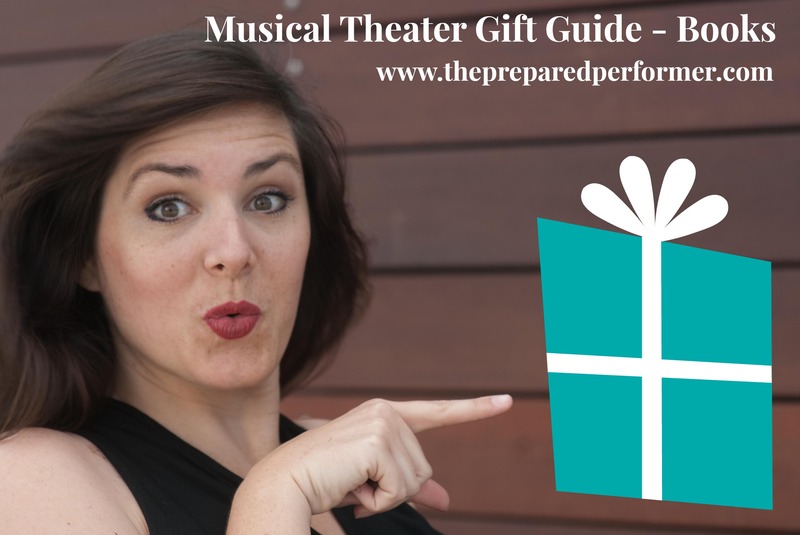 Here's a little gift guide to help you find the perfect bit of happiness for the Musical Theater Lovers in your life. These lists could go on forever, so I'm going to stick to 5 recommendations and then give you a link to an amazon wishlist I put together that I will be updating as I find new great books! This show opens tomorrow at the Ahmenson and plays until January 12th! I saw it in NYC and it is one of the most magical theatrical experiences I've ever had. It only has a few songs, but it will definitely hit the heart and tickle the funny bone of the musical theatre lover in your life. It'd be great to pair this beautiful book (which includes the full script, photos from the broadway show, and notes from the director with tickets to the show. Here's a link to tickets at the Ahmenson – http://www.centertheatregroup.org/tickets/2013/Peter-and-the-Starcatcher/. These books are a MUST HAVE for all Musical Theater Performers. Unlike many vocal selection books, the songs are in the original keys, and they come with a cd of piano tracks that play exactly what is written on the page. They are divided up by voice type and also age. Click here for a full list of books. This book is a GREAT resource for new and pro musical theater performers. It lists every show that has ever been on Broadway and loads of info in one quick little easy to read blurb. The info listed about each show includes – music and lyrics information; names of producers, directors and choreographers, cast lists, New York run dates, songs, and and inside information, info on critical reception, and pithy commentary about each show. When you are auditioning for a show that you aren't familiar with, this is a great way to catch up quickly! Is Musical Theatre Magazine Okay for Kids? Several parents, aunts, and grandmothers have written in to ask about getting a subscription ofMusical Theatre Magazine for the pre-teen/teenager in their lives who simply adores Broadway and wants to be on Broadway when they grow up.Now, understand me — I’d love to have billions of subscribers around the world, but I tell each parent, aunt, and grandmother the same thing: Musical Theatre Magazine focuses on the Art & Craft of Musical Theatre. It’s important to me for my readers to know the business side of show business — what they never teach you in a voice lesson or a dance class — as well as the artsy-farsy side of waka-waka and all that jazz. AND – for even more ideas – here's a little wish list! I'll be adding to it as I find more books I love, so check back soon. PS – The links to the books listed here are part of the Amazon Affiliate program. We will get a small commission if you purchase these books with no extra cost to you : ) BUT!!! I promise that we are only recommending books that we've read and loved. We don't want you to be waisting any valuable practice time on books that won't help.